My fourth time participating in DinnerPartyYVR was awesome! All of the dinners together raised over $23K for charity! Thank you to everyone who helped me with my dinner, and helped to raise funds for the charity that I support: Quest Food Exchange-Giving Page! <-----You can still donate to my fundraising efforts! Thanks to Nick for teaching a new and amazing way to make the most delicious croutons! The Yemenite Spice mix that I made, and coated my butternut squash with before roasting it, and then pureeing into the soup. The Pork Tenderloins were rubbed with a marinade of Porcini Mushroom powder, brown sugar, chili flakes and olive oil. I let them sit in the marinade for just over 24 hours before we grilled them. The Dry Sodas that I served with dinner were a hit! For dessert I did my vanilla bean panna cotta. Thanks so much to Zwilling Canada for the really nice Sorrento Double Walled glass tea cups that I used for my dessert! They were the perfect size! I am really excited that Whole Foods will be hosting their first ever GET LOCAL DINNER, and asked me to participate! I partnered up with my friend Chef Ned Bell, who is the executive chef at the Four Seasons. The dinner will be next Tuesday, Sept 1st, from 6:30-9pm in the Allegro Café at Whole Foods Market Cambie! This is a private ticketed 4 course meal with wine pairings! It is so great because 100% of the ticket sales are going to benefit Chefs for Oceans, which focuses on educating chefs about sustainable seafood practices, and Growing Chefs which brings growing vegetables into the classrooms to get kids excited about cooking & eating veggies! So excited to be cooking for my third time for #DinnerPartyYVR!! 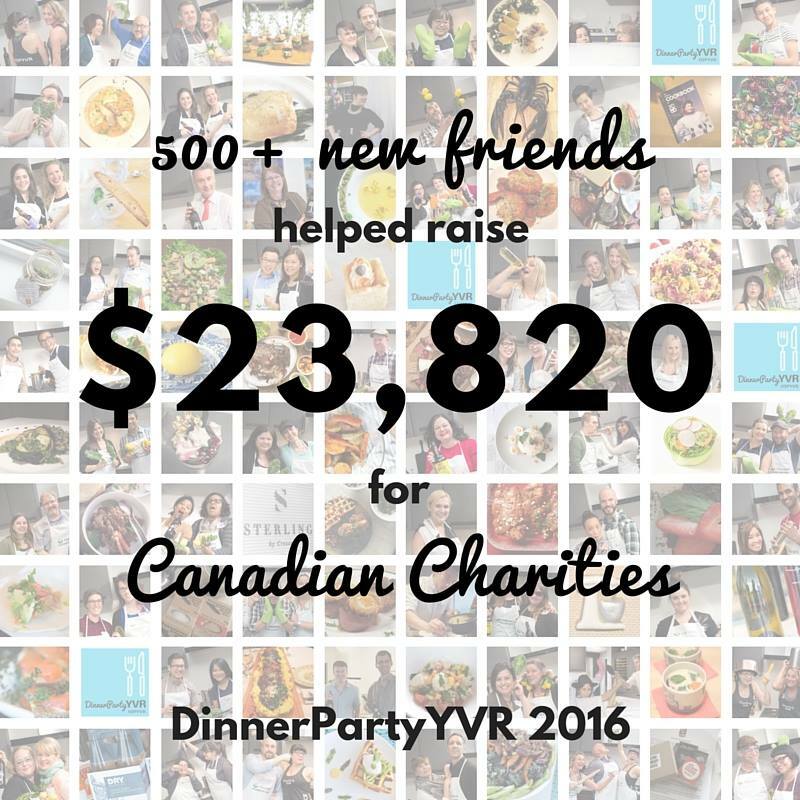 If you didn't know, DinnerPartyYVR is a great event where hobby chefs around Vancouver get to host dinner parties on one night, with all of the money from the dinners going to their chosen charities! The first time I participated, I was a Sous Chef to Clement Lau, the second time, I hosted my own dinner, and this time I am excited to work with Chef Clement Chan from Le Tigre Truck & Top Chef Canada!! Chef Clement and I are hosting the Cressy Group Dinner, and you could win tickets to our table!! Select a #dinnerpartyYVR meal and make your donation by 6 pm on Wednesday, March 4, to automatically enter for a chance to be invited to this very special Cressey Dinner Party at the Meccanica Penthouse. Their meal will benefit the Quest Outreach Society. Find a meal!One of the most decorated chefs in Vancouver, Clement Chan, along with 12-year old #dinnerpartyYVR veteran Liam Lewis, will host a dinner party for some special dinner guests. Diners will be treated to a gourmet meal in Cressey’s luxurious Meccanica Penthouse. Select a meal listed on the Meals Page located in Vancouver, and make your donation for the number of seats chosen. The chosen meal cannot be private or located in Toronto, Montreal, and Calgary in order to be entered into the draw. With your ticket purchase, you (and any of your dinner companions) will automatically be entered to join the Cressey Dinner Party which takes place on the same evening as #dinnerpartyYVR. A random draw on Wednesday, March 4 @ 6:01 pm will select 6 lucky dinner guests that will have the opportunity to attend the Cressey Dinner Party. If you are selected, you have the choice of accepting the invitation to the Cressey Dinner Party or declining it in order to attend the meal you had originally chosen. If you accept the invitation to the Cressey Dinner Party, your original meal seats will go back on sale and your donation will now benefit the charity chosen for the Cressey Dinner Party. A huge HIGH FIVE and thanks to all of the amazing food people who made the past year so awesome! 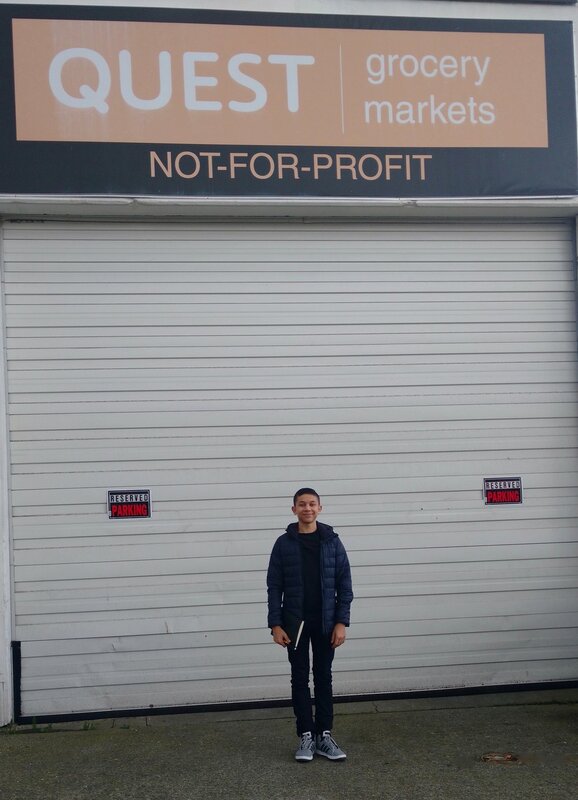 All the vendors and Staff at Vancouver Farmer's Markets!! Top L-R: Dulciene, Sail On Food Truck & Chris (Hawkers Market) @Eat Vancouver! Eat! Vancouver is this weekend, and I am so excited! They have generously given me some tickets that I can give away!